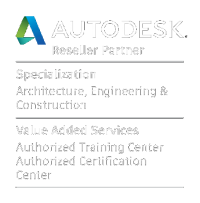 AutoCAD Training Courses - Benchmarq Training - Training at your offices or ours! At Benchmarq we offer an AutoCAD training course ‘AutoCAD Essentials’ which is the perfect introduction to AutoCAD. AutoCAD is the industry-standard CAD software for 2D Design, planning and 3D modelling and a very powerful software tool. During this AutoCAD training course, you will learn the skills and processes required to draw architectural and engineering plans, mechanical parts and electronic diagrams. No previous CAD experience is necessary but a basic knowledge of drafting fundamentals and some computer experience would be helpful. We mainly run our courses at our training centres in Billingshurst, West Sussex and Newark, Nottinghamshire. But we also run bespoke training courses, at your premises or ours, that can be tailored to your individual needs. Enquire about our AutoCAD training courses!